Finding it hard to help your child keep their teeth clean? One of the most common places where tooth decay develops in children is on the chewing surfaces of the back teeth. One way that you can help decrease the incidence of tooth decay in these hard-to-reach areas is the placement of Dental Pit and Fissure Sealants. If you look closely, you will notice that the biting surface of your child’s back molars have all these grooves and crevices. We call these pit and fissures and they can be very deep making our “pick-like” instrument a handy tool when we need to examine these hard-to-reach areas. Although the shape of these teeth are important for the grinding of our food while chewing, it also makes cleaning these teeth more difficult. Food and bacteria-filled plaque can easily accumulate in these pits and go unnoticed by people which is why most cavities start in these deep hiding places. 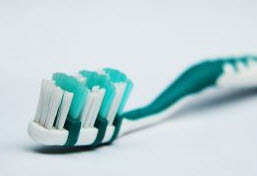 Today, there are many types of toothbrushes on the market. They have bristles that are designed to reach deep into the areas of teeth and gums to help remove food and plaque. However, some of the areas are so deep and inaccessible that even the best tooth brusher is restricted from being able to remove everything that gathers in these areas. Removing all of the debris that has become stuck in there is almost impossible. One way to eliminate these crevices is to seal them. 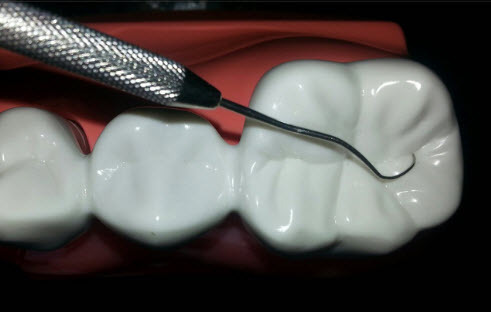 Your dentist can apply a sealing material, made of resin, that flows into and fills these deep nooks and crannies creating a barrier that not only protects the enamel from plaque and acid, but also provides a smoother biting surface to make cleaning more effective. Once placed, the sealants prevents plaque and food from being able to accumulate in the pits and makes cleaning much easier. It is important to remember, however, that a sealed tooth is not completely resistant to tooth decay. Oral hygiene and diet is still important because you can not rely solely on sealants to prevent cavities. Seeing your dentist regularly is recommended so that your teeth and the bond of the sealants can be checked for any signs of breakdown or damage. Your child’s teeth are important, but they can be easily damaged by cavities if they are not protected. At Your Smile Dental Care we have been using dental pit and fissure sealants for years as part of our complete preventive care program. They continue to be a cost-effective and safe way to help further protect teeth for both children and adult alike. If you would like to learn more about dental sealants or other aspects of our Preventative Care Program, call us today at (905) 5SMILES. Cool piece of content. Learning more daily from this blog. These dental care updates are actually valuable to my family members.